In a praise-worthy move looking at the current emotional state of the country, Ajay Devgn announced that Total Dhamaal will not be releasing in Pakistan. This decision was taken following the suicide terrorist attack in Pulwama, Kashmir that left 49 of our brave CRPF personnel martyred. The militant group, Jaish-e-Mohammed, claimed responsibility for the attack, and the Indian government has accused their Pakistani counterparts of backing the attack. Pulwama Attack: Ajay Devgn's Total Dhamaal to NOT Release in Pakistan, Declares the Actor. Now following the footsteps of Devgn, it is reported Dinesh Vijan's production house, Maddock Films has cancelled their contract with Pakistani distributors for two of their films will not be releasing in Pakistan. 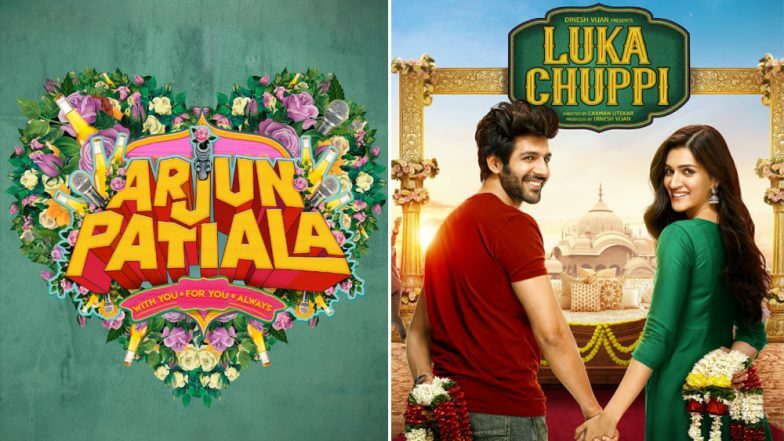 The first movie is Kartik Aaryan and Kriti Sanon's romantic comedy, Luka Chuppi. The movie will release in India on March 1. Luka Chuppi Song Tu Laung Main Elaachi: Kartik Aaryan and Kriti Sanon Are the Only Saving Grace of This Trashy Remake of the Popular Punjabi Number. The other film is Arjun Patiala, that stars Diljit Dosanjh, Kriti Sanon and Varun Sharma in the lead. That movie will release on May 3. However, there is no update whether Made in China, another Maddock production starring Rajkummar Rao and Mouni Roy, is a part of this contract and if it will release in Pakistan. Made in China is scheduled to release in August. Bollywood fans are already hailing their decisions taken by Ajay Devgn and Dinesh Vijan of not releasing their movies in Pakistan. Meanwhile, Kangana Ranaut, who has been the most radical celeb in her outrage against the Pulwama terror attack, still has her movie Manikarnika: The Queen of Jhansi running in theatres in Pakistan.